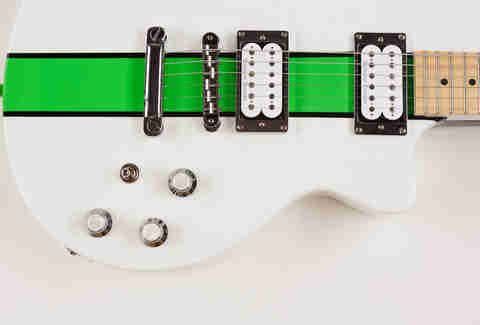 Just in case thunder strikes another Fleetwood Mac member, you can be ready with the guitar of your Dreams thanks to Austin's Moniker, who lets players custom-design rockscythes on a web interface that offers 28 billion possible iterations, then builds them in a warehouse off Ben White. 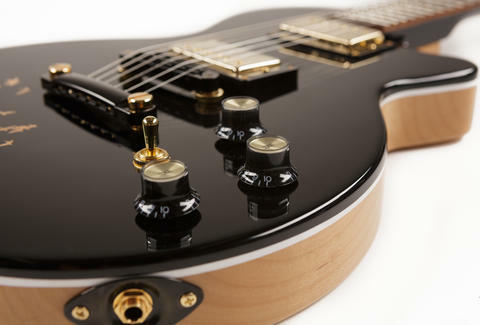 The process: choose the body style (Les Paul Jr-esque Reedsdale or Telecasterish Dixie, both made from alder with maple necks), then the color of the body, headstock, and pickguard from a list of music-inspired stains, solids, and metallics like the princely Purple Rain or the incubating A Certain Shade of Green. You can also add a graphic image, so your mom will never come see you play. Next choose a maple or rosewood fretboard, sort through neck and bridge pickups ranging from their in-house style to upgrades from Seymour Duncan, and finally, get into essential aesthetics like power switch, control plate, knobs, tuning pegs, and strap locks (your new gunslinger status will require you to be strapped at all times). Thanks to the use of water-based paint and CNC routing, their turnaround time is pretty damn fast -- after hitting "buy" you'll have the guitar in 4-6 weeks, after which you can commence to shredding the night away while your neighbor screams "Don't! Stop!"